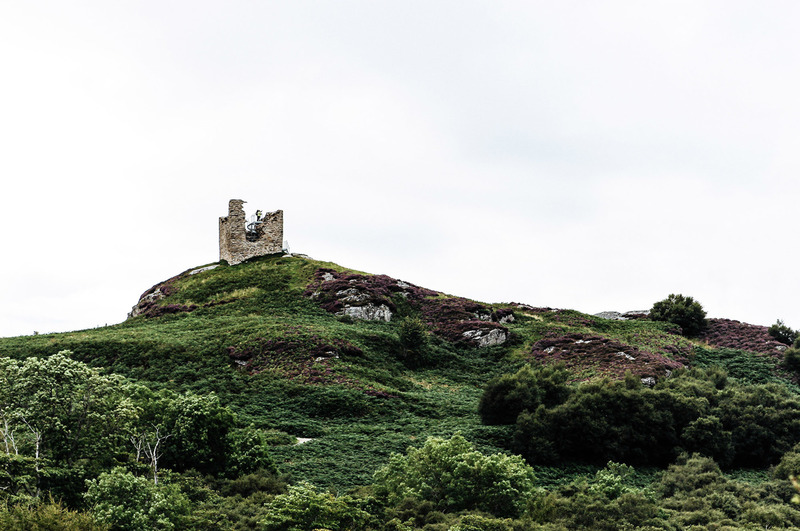 Caisteal Bharraich is a dramatic and historically significant Scheduled Monument which sits high above the Kyle of Tongue in Sutherland. Although the exact date of the rectangular tower’s construction remains debatable, there is significant evidence suggesting the earliest possible construction date was around the first half of the 15th century - later records had shown that surprisingly little had altered since this time. 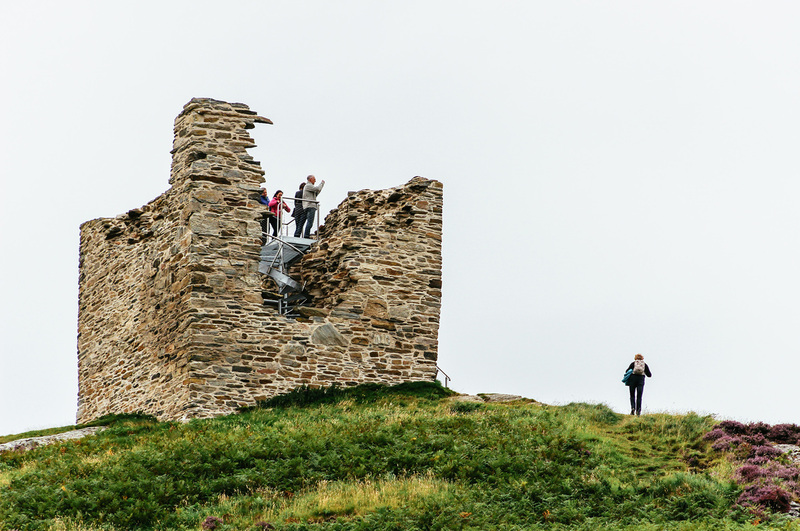 However, during the winter of 2015 large sections of the monument suffered severe weather damage, which was when Groves-Raines Architects were commissioned to stabilise and consolidate the Scheduled Ancient Monument. 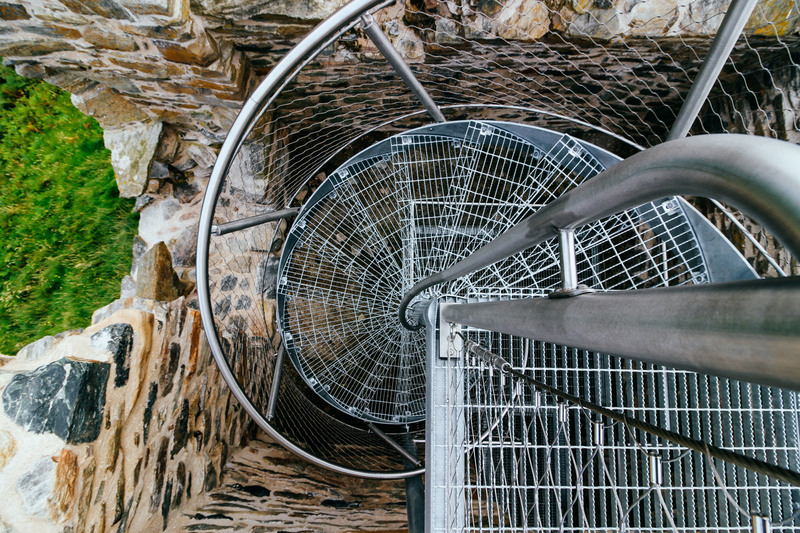 The main objective of the project was to improve accessibility, both physically and intellectually, as the building was poorly interpreted and difficult to enter – this overall would benefit the community and promote an understanding and enjoyment of heritage in the local area. 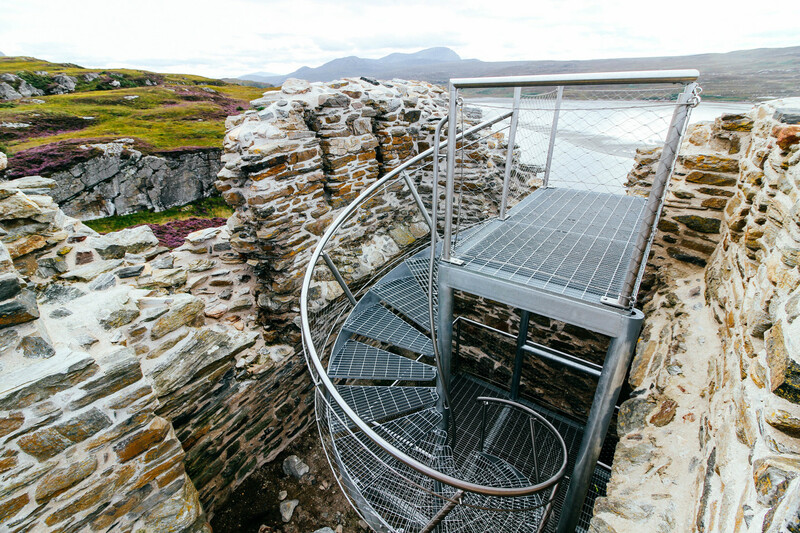 The existing structure was consolidated to provide access into the structure with an internal stair to provide an elevated viewing platform which is largely concealed behind the existing walls. 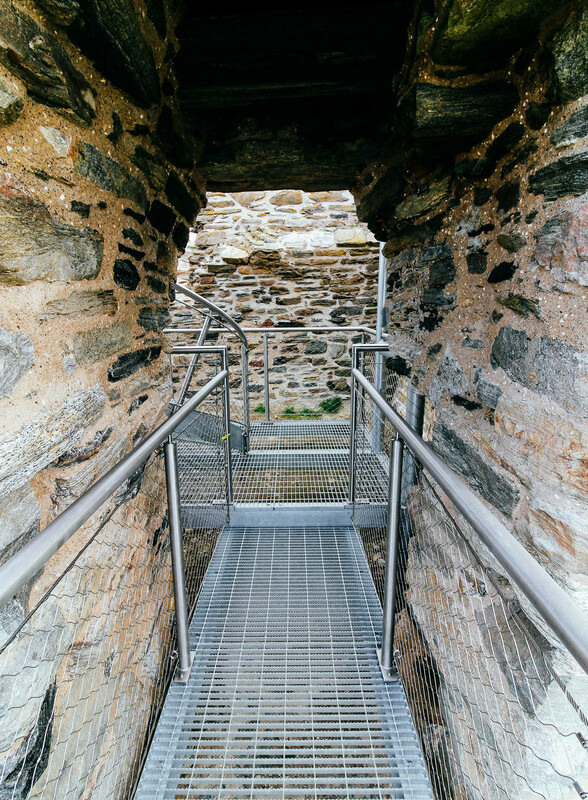 This has resulted in improved access for members of the public who are able to travel up to the site, providing a safe, slip resistant level surface within the structure. 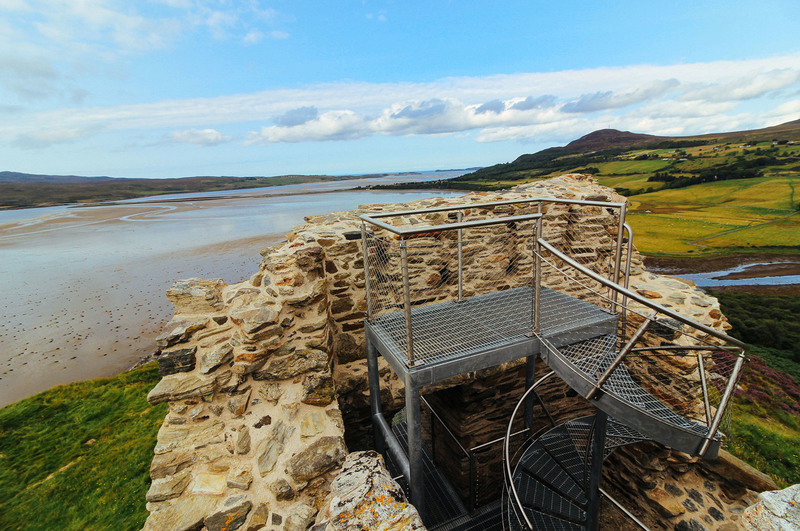 In addition it provides a view point at high level that would replicate the viewpoint from the original occupants of the building. The community was involved throughout with their knowledge and enthusiasm for the area being harnessed through community consultations. From this a programme of works was drawn up and close contact was maintained with the Community Council. Various outreach activities were organised and aspects of the repairs were used to develop teaching materials for the local primary school. In addition the school children prepared letters, photographs, newspaper articles and drawings of local wildlife which were then placed in a time capsule and ceremonially embedded into a rebuilt section of the wall. 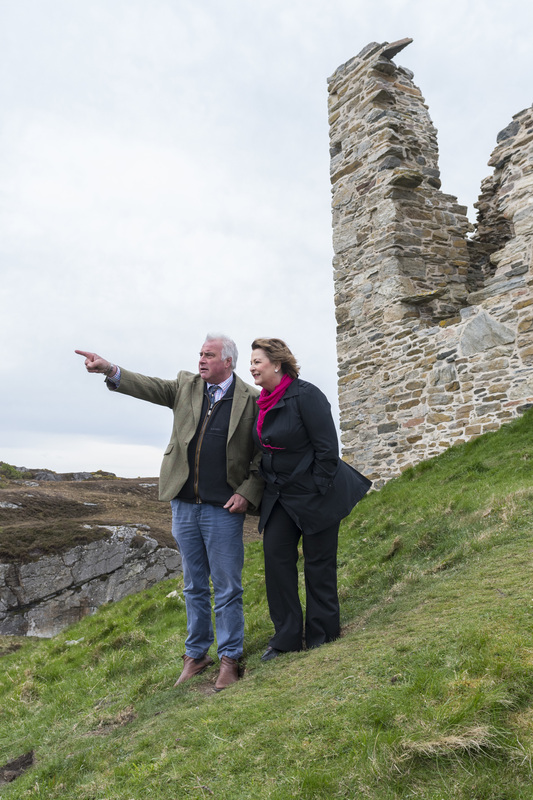 The school and Community Council were fully involved in the official opening of Caisteal Bharraich in May 2018 which was undertaken by Fiona Hyslop, MSP and Cabinet Secretary for Culture, Tourism and External Affairs. 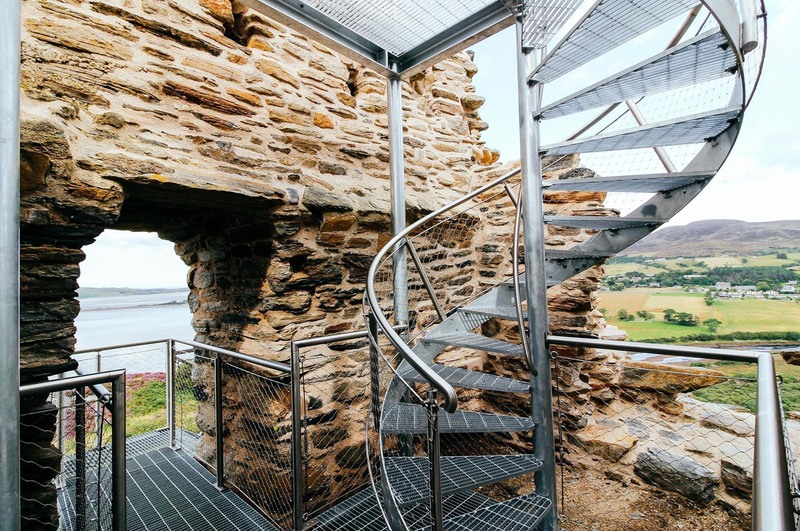 The iconic Caisteal Bharraich has now been opened up to a wider range of visitors, providing striking panoramic views from the new platform for all to enjoy. 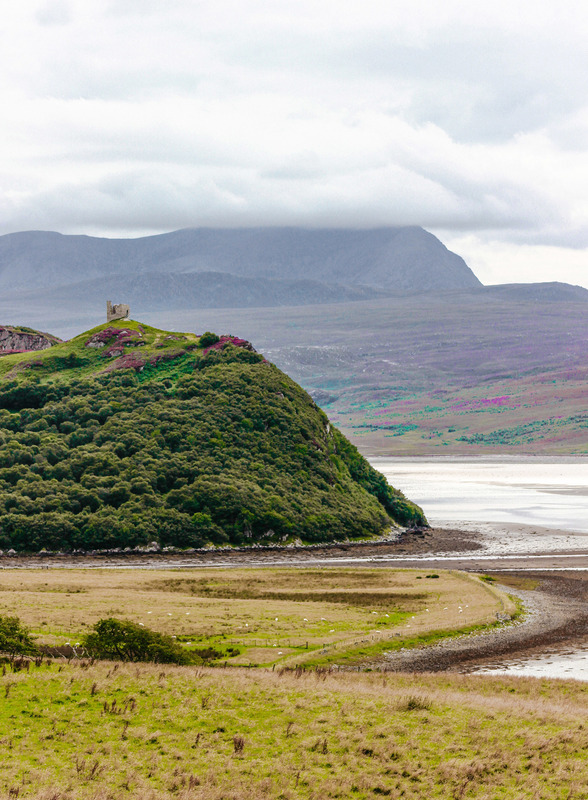 The project shows a visible sign of renewed investment and regeneration in the area which has secured the future of the monument and enhanced its benefits.